Motivated by the 10th anniversary of the fuzzy research group at the computer science department in Magdeburg, the symposium Fuzzy Systems in Computer Science 2006 is jointly organized by the AFN - the North German Softcomputing Association - in cooperation with several fuzzy-oriented research groups at the Otto-von-Guericke University of Magdeburg. The aim of this event is to provide an international forum for reporting new results in the area of fuzzy systems. Emphasis will be on the applicability of the presented methods to real world problems. The scientific program will include a track on Fuzzy Methods in Learning and Data Mining, a special session about the applications of Fuzzy Methods in Intelligent Data Analysis, and the Annual Meeting of the AFN. The keynote address will be given by the well known UC Berkeley Professor Lotfi Zadeh, the inventor of fuzzy logic. 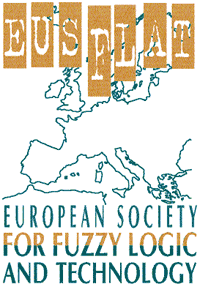 The program will be complemented by an invited talk of Rudolf Seising about the history of fuzzy systems. Online Proceedings: The online-version of the proceedings is now available for download. Contact: Questions should be directed to the Conference Secretariat (Tel. : +49 391 67 18183). Program: The final Program is now available. Download as PDF-document. We want to thank all speakers and participants for their contribution that made FSCS2006 an interesting and successful conference. Pictures are now available fo viewing.